Ordinarily, of course, policymakers would react to this deterioration by taking steps to stabilise the economy. What is most frightening about the euro-area picture is that this is not happening. For now, austerity remains the rule. Despite the nastiness of the economic picture, the ECB is widely expected to take no action at its meeting tomorrow. The euro area is walking, eyes wide open, into depression. Led by its periphery, which is already there. ….If, when all of this is said and done, the euro zone descends into a chaotic, costly break-up, many people will write that such a thing was inevitable, unavoidable. They’ll be wrong. We are watching causation this very moment: institutions that know how and why to prevent things from falling apart and which nonetheless sit back and do nothing. It’s a dismal prospect, all right, and in the future the collapse of the eurozone — if it happens — will probably become a textbook example of the difficulty of collective action, right along with climate change and the League of Nations. In the long term, Europe’s periphery needs to credibly commit to even greater labor market reforms than they already have, but further reforms seem politically hopeless and no one really knows how to make them credible in any case. In the short term, Europe’s core needs to pony up more money, but that’s politically hopeless too, especially in the absence of credible long-term reforms in the periphery. And so the entire continent is stuck. The lack of a mechanism to commit to credible long-term reforms prevents any credible short-term action, and the lack of credible short-term action makes long-term disaster a growing certainty. I feel as though I am sitting through a Charlie Kindleberger lecture about Europe in the early 1930s. Every country thinking that the global and continental level of aggregate demand was somebody else’s business. Every country thinking that if only it could impress international investors with its creditworthiness that investment would flow to it and away from other countries. Nobody willing to act like a hegemon. And nobody upset at the absence of a hegemon willing to act responsibly. We’re now in — what? 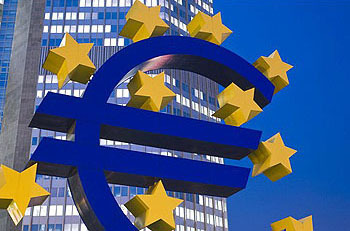 Phase 4 of the euro crisis? Phase 5? I’ve lost count. At some point, though, the latest half measure from the great and good of Europe won’t calm markets for even a week, let alone six months. When that happens — if it happens — we’ll all be well and truly screwed.